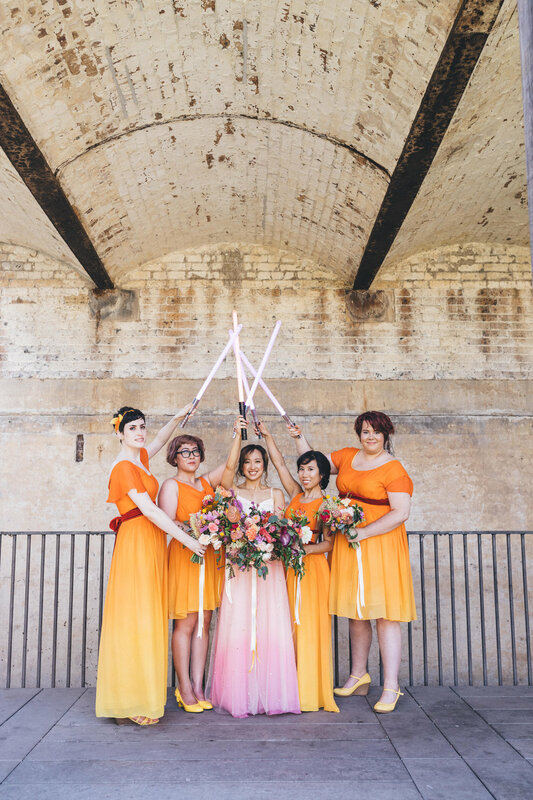 This was one of my favourite weddings to work on. 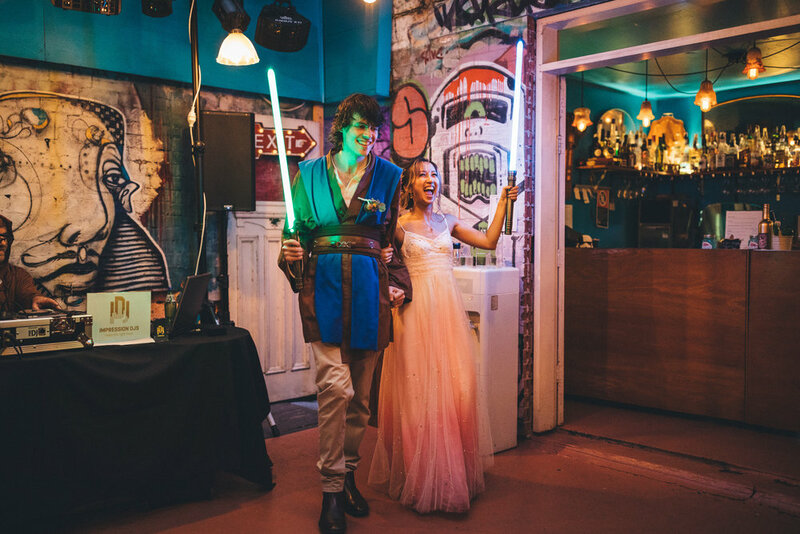 I LOVE a themed wedding. 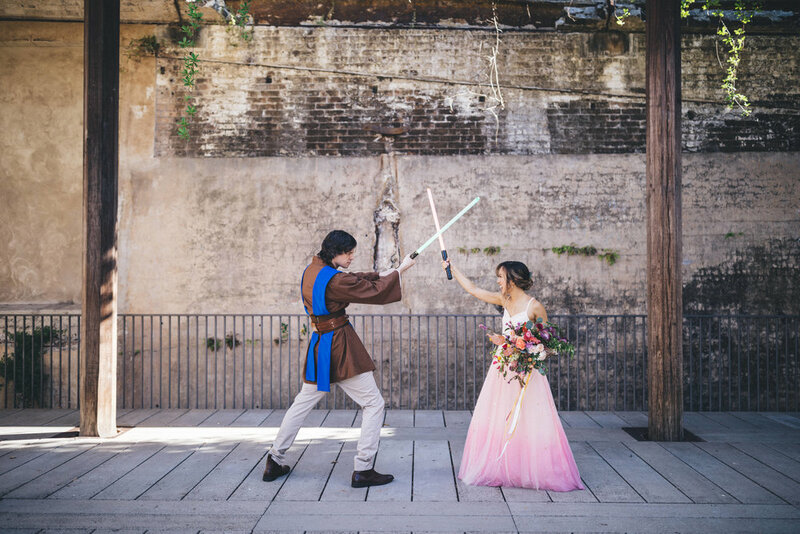 I also love that Desiree wanted a modern interpretation of the Star Wars aesthetic, rather than a cosplay wedding (although that would've been fun too!). 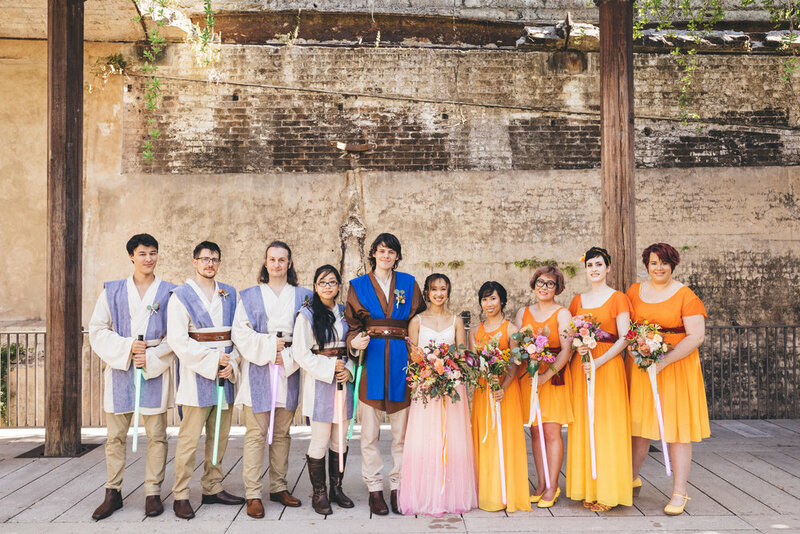 For the bridesmaids, we used the colour scheme and velvet trim of Padme Amidala's handmaidens, designing different style dresses for each of the girls. 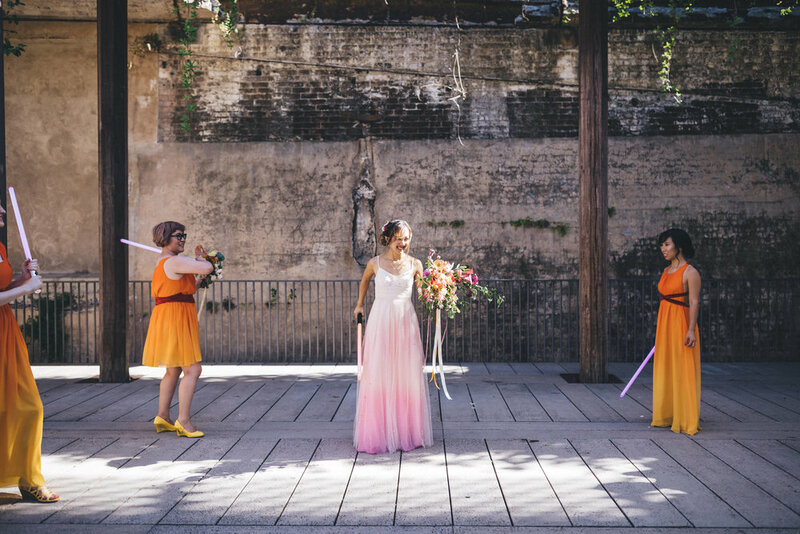 Desiree wanted her dress inspired by the colours in Padme's lake dress. I asked how she felt about sparkle and she was very enthusiastic, so I decided to embroider crystal constellations in gold thread all over the skirt.